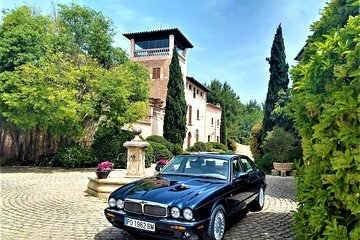 On this tour, travel like a VIP in a classic Jaguar car and enjoy stunning views along the West coast and Tramuntanas. Visit historic Palma, walk along the narrow streets, admire the gothic Cathedral and view the bay of Palma from Castell Bellver. With a private guide and up to two passengers, it’s the ideal choice for a romantic getaway and you can stop as often as you like to take photos and admire the landscape.